Last weekend, PoppaNut and I hosted a painting party at the gym. Well, it was less party and more painting, but the result was the same. It started a few weeks back when PoppaNut handed me a collection of one-million paint swatches. I took on the challenge of figuring out the best color for the gym with flying colors … pun intended. 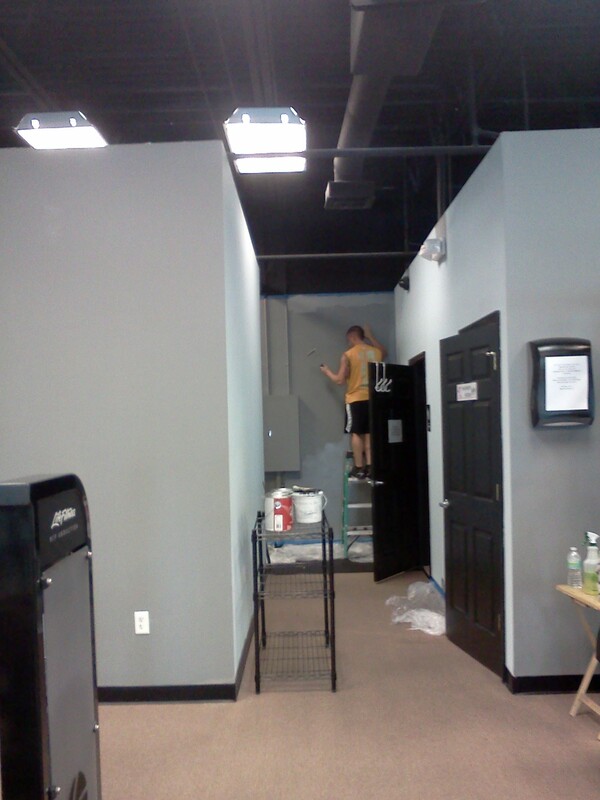 In the end, we pitched a soft blue and a light gray for the gym space. With buckets of paint, rolls of blue tape and every size paintbrush you have ever seen, we got to work. We painted and painted and painted until all the pre-existing orange was gone. Our arms were cramping and our feet were swelling by the time we painted the last stroke. There will be more painting and decorating in the future, but I wanted to share the progress with you. And that’s life in a nutshell … watching PoppaNut see his dream come true was a dream come true for me too.